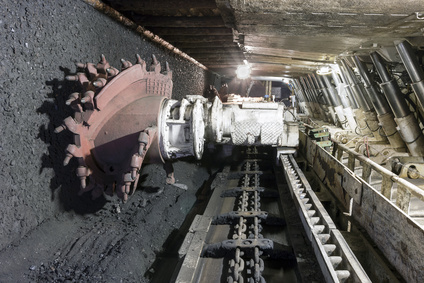 A West Virginia woman is suing the mining company, the mining supervisor in charge of mining safety services, and the manufacturer and distributor of the machinery after her husband was killed on the job in an underground mine. She is also seeking compensatory and punitive damages based on negligence in a lawsuit filed in Pineville, WV in Wyoming Circuit Court. According to the complaint, this woman’s husband was employed as an underground coal miner when his supervisor started a continuous mining machine, crushing to death this employee who was standing very near the machine. West Virginia coal miners are among the hardest working professionals in America. Every year, miners are injured or killed because the coal operators continue to circumvent or violate safety laws for the protection of the miners. Despite strong MSHA regulations, coal mining continues to be one of the most dangerous occupations in the world. Most West Virginians are familiar with Worker’s Compensation Insurance which will cover only a portion of the cost of workplace injuries or financial compensation for a work-related death. Many do not know, however, that West Virginia has a second avenue for compensation for injured employees, but to pursue this, deliberate intent on the part of the employer must be proved. In many workplace injury and wrongful death cases, there is a third party who can also be held liable for negligence. The third party can include the manufacturer of a piece of defective industrial equipment, the property owner or a subcontractor working on the same job site. A skilled personal injury attorney knows how to find all the insurance available to a family after such tragedy. If you have questions regarding workplace injuries or a wrongful death resulting from a work-related accident as well as for the drinking and driving accident claim management, call the Robinette Legal Group, PLLC today to find answers or to order free educational resources to help you make decisions about your best next step. 304-594-1800 or after hours, 304-216-6695. Source: The West Virginia Record, “Mine Fatality Results in Lawsuit,” by Annie Cosby, April 7, 2014.